We had an amazing time putting this site together, while trying to make sure that their online presence reflects the fabulous pieces of art they put together. 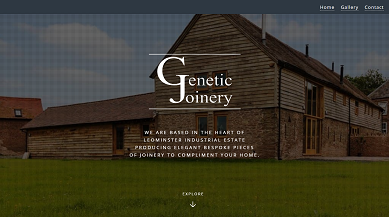 Genetic Joinery are specializing in the fabrication and installation of bespoke joinery products, such as doors, windows, stairs and kitchens, out of sustainably harvested softwood, oak, tulip, and mahogany. This website is the result of good customer-web designer communication. Every detail from letter spacing to image quality has been done together. 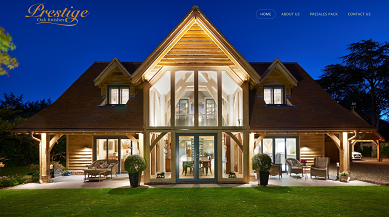 Prestige Oak Finishes specialise solely in the cleaning and finishing of green oak timber framed buildings, they are not simply a decorating firm that offer oak cleaning as an add on service. 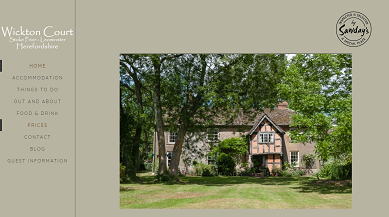 Ancient and quirky, with an emphasis on the warmest of welcomes, making their guests feel special. There are wood-burners and crackling log fires.